Because mountain dew is worth it. A little background first. 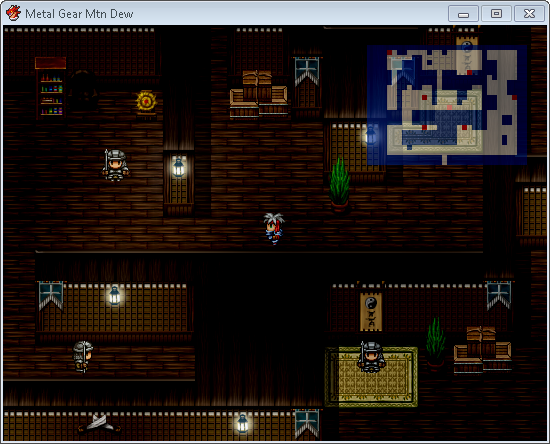 Basically the concept of the game came from one of the best games I've ever played: Metal Gear Solid. I loved the stealth, the storyline, gameplay, characters.. Of course I haven't came close to making a game like MGS, but a lot of the features, sounds, and ideas have came from it and I've just twisted some humour into it with the mission to get some Mountain Dew. You see, I live in UK and our Mountain Dew supplies are limited! 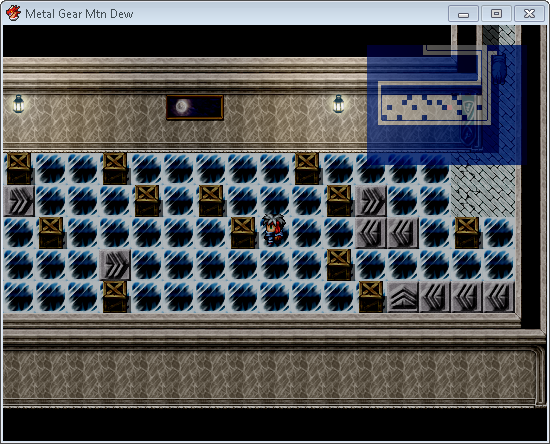 I thought I'd put 1 and 1 together and here we have MGMD, Metal Gear Mountain Dew! Anyway, I have a RTP and non-RTP version, so suit yourself! 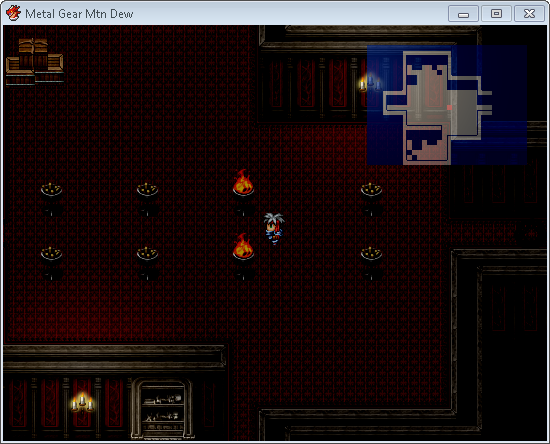 Both games are not encrypted, so you can view and learn within if needbe. But please don't dive right into the source, at least try the game for me first. Some parts of the game may be hard / annoying / require several attempts, but I'd rather that than just cheating for the passcodes etc If needbe to advance / test though, feel free to skip ahead or view how it's done. The end game time is probably around 13-14 minutes, maybe faster if you view the source and ace it, However, i've based the game on an average of losing too (since the clock can't add the gametime of game overs). I'd imagine it'd bring the limit above 15, maybe even towards 25 if you're struggling. Therefore I think it meets the threshold! I trust everyone will be caught at least once haha! Inspired by Metal Gear Solid; Konami. If you have any questions, comments or concerns let me know here! If you find any serious bugs also notify me so I can tweak before the end date and upload a polished version of the game. A manual is provided which teaches basics, and again credits the above. 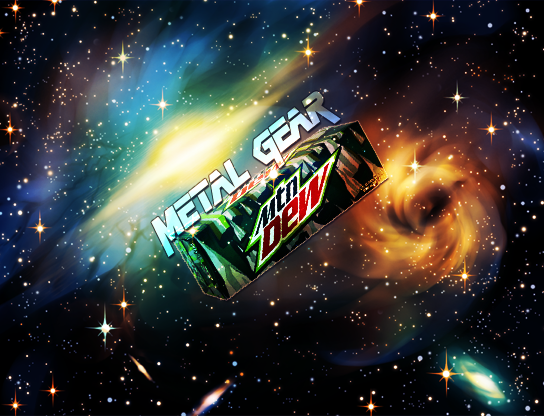 Haha, Metal Gear Mountain Dew! That made me laugh, thanks a bunch! Looking good! I liked that I had the option in some situations of taking more than 1 route to achieve my goal. Do the guards have a different range/radius for noticing you if you approach from behind or the sides? Or is it a universal range? In any event, I had a good time. I spent about 25 or so minutes on it total. I might have been able to do it in less, but I didn't think to open up the menu and see if I could save or not XD. This game requires you to be super ninja. What happens when I save and try to load? As an MGS fan, this looks very funny. I have to play this! EDIT: Finished it. That was REALLY fun, although I have to say the very first part (outside the lab) was the only part I really found that hard. I LOVED the ending, really cracked me up. Great game! EDIT AGAIN: After playing all 3 entries so far, I'm going to have to say that you've definitely got my vote so far. Thanks for the kind comments! Appreciate it. I'm glad you enjoyed it. @ Tsuk: It should simply reload the game from your save point, however the guard patterns may reset (IE if you've been chased and they move, then you save and reload, they should go back to their original position). Might be wrong though. Hm, that's actually one thing I did mean to point out. The save-anywhere system does make it a bit too easy (although the obvious solution here is to simply not use it, I only saved upon entering a new area). But I guess for a lot of people, you'd be losing part of the fun aspect if they had to keep doing a whole screen just cause of one part they were finding difficult. Yeah, I think depending on the difficult you want, you can use the save system as you please. I implemented it for the purpose of saving per area too, but if you want to save every 10 seconds feel free haha. lol after trying several times to get past the first map I finally got past it. The guards run too fast. The lighting and weather effects sets a good mood for the game. The game crashes whenever I try to load though. Aww it does? Weird. Wonder how that could be... Anyone else having that problem? I had no problems with the save system. I got used to when the guards would take chase, so I tended to expect it. In fact, I often used their chase as part of my solutions. I'm waiting until I post my own game to try out the other ones, but I hope to have it up some time this weekend so that I can give your guys' games a chance. Btw...I have an eventing system that allows for directional facing in patrol, as well as an advanced version for if you're hiding behind objects... I can't remember how the second part is implemented but I believe it involves terrain tags or something. Let me know if you want to see a copy of it. It's not mine, but the system includes the name of the original creator for credit. Thanks for the offer and I hope you get a chance to play. Haha thanks very much. Put a lot of effort into it so it's nice to hear that Hope everyone else enjoyed it too. Yeah. I had a look at the others, some I didn't even get past looking at the topic before telling "I won't like this" (not necesserially saying they're not good, just perhaps not my type, or too similar to others I already tried)... Conundrum would be my pick for runner-up, but it just didn't have the level of fun (to me) that this one did. Guess it also helps that this somewhat reminds me of Splinter Cell, which I loved and haven't played in ages. Either way, winner or not, you've got an excellent game here. I'd certianly play a larger game based on this system if you ever decide to re-use the idea, too... and that's coming from someone who's far more of a creator than a player when it comes to RM games. I'm wondering Ninja, was my game one you didn't even play? It sure doesn't have that many comments. Again, thank you ^^ I'd sure love a pimped out, longer, more in depth version of this. I might give it a go in future haha! Just downloaded it..Really like this game...may have broken Konami and PepsiCo's trademarks, but who cares? Pretty hard game but it's worth the challenge. I like the fear factor and humor. Regarding some other comments: I don't mind the saving at all. Nice use of fog script. Just an overall fun game. Thanks for not encrypting your code so I can see how you did everything.